I set myself a challenge last week to finish all of the back stories by the end of today. I am happy to report that I have completed them! I am glad that I decided to do this, as it helped strengthen the characters. By creating their pasts, it has shown how they have become the people they are within the story. One thing that I found was quite advantageous was to work from the present further back into their past, rather than go from their past forward to the present. This allowed me to place layers underneath a previous layer, and to align them correctly so that the life of the character grows appropriately. By working in reverse, there are fewer details to create in each layer, which means that it’s less likely to make a mistake and to contradict another point that has already been stated. From completing this process, I have noticed something quite interesting. I now see how important the connection between characters within the story are. 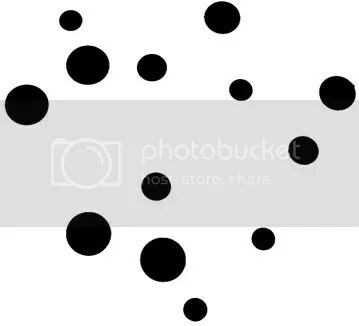 To explain, I imagine characters as small dots spread out over a page. As the story progresses, the characters begin to grow. Their presence starts to dispel throughout the plot and interact with the other characters; with different interactions causing different outcomes. If there are characters whose influence in the story does not directly nor indirectly affect others, are they required in the story? If their presence has no importance, then perhaps they are not required. I have also created a “cast sheet” of all the characters so that it makes them easier to picture when writing. By being able to place a face to the character, it allows me to visualise them in the scene I am creating. Once I have the environment outlined, it will be time to start digging deep and researching, looking at a writing course possibly, and begin writing some small pieces to start knocking the rust off my writing abilities. Slowly gathering momentum, which is both good and scary! You are so mathematical. Love all the graphs and visuals you create…it’s an interesting way to see things. Looking forward to you putting pen to paper….still. Good and scary are code. They mean you are on the right track. My codes are fear and love. Love my work—scared to death to let it go. Granted, I’m a little controlling;) Great quotes post also btw. You would hope I was mathematical, considering I’m an Engineer by day! It is so beneficial to have both sides of the brain firing; that is probably why I have worked hard to keep creative influence in my life – it comes in really handy when solving problems! It’s weird, even though I haven’t “officially” started writing the story, I have quite a few scenes already plotted out in my mind. This is quite useful as it allows me to find some pictures that I can work with to create those environments. I think the reason I haven’t started is that I’m having trouble figuring out how to start. I haven’t got that illusive opening sentence. I need that hook; I know it’s there, I just can’t find it….I’ve been swishing my hands in the pond of imagination, but I haven’t been hooked yet! I have the CLOSING sentence, but that’s no help at the moment! One thing I am thankful of from reading your blog is hopefully I can avoid the fear when I get to that point, because I will be expecting it. I hope knowing that it’s coming will make it easier! Yes those quotes….those were the ones that really stood out to me! I’m going to print them right now! I’m just going to jump in here! Start with your closing sentence. Whaaaaat? I know, that’s crazy!! We always want to write linear, but I have discovered that it is not that important. When I wrote my script, I started with an idea that spread across 14 scenes. It was the essence of the story. I then did the ‘filling’. I ended up with the essence spread throughout what ended up being a one and half hour drama for TV. I just don’t think I could have got there if I hadn’t done it this way. But, I know we are all different. One thing for sure, when i do finally decide to start writing again (I was laying in bed the other night and thought ‘oh, I think I might start soon’…this really is progress) I shan’t be rushing in, I shall take some of the steps you have taught me, apply them to my own techniques, and fingers crossed, come up with the right formula for me. As for the writing course – do it! You think I forgot you were an Engineer…? Nope, I remember….ie: “You are so mathmatical.” I’m the wayyy right brain. You’re a rare breed to use both well. I agree with Ellie. Having your ending is BIG. Seriously. I think sometimes it’s easier to get from A to Z when Z is done. Your hook? Well…I think the hook comes somewhere in the middle. But I am pantster. I don’t plan or plot or outline. It causes headaches and extra time but that’s how I work. And the sign of a writer is always scenes forming in your head. So that isn’t weird at all. It’s normal. I see scenes in my head. All the time. Things come at me, dialogue, aha moments. They beckon me, not the other way around. And I’ve said this before and some writers think it’s crazy…but your characters will eventually lead you. Also agree with Ellie, writing class–go for it. Just stay true to your own writing style. Your own voice. Haha, yes funnily enough, I DO have the last sentence. That was the easiest one to write! I have scenes in my head already – so I will be able to create a storyboard of the plot hopefully. One of the issues I have got is, how do I start the plot moving? Gathering momentum before getting to the action – the event horizon of the story. I know what scenes I want, but the mortar between those scenes is currently missing. That’s what the writing will be about, creating the jam filling to make the story palatable. This is what Ellie means when she says just start writing. You need to just write. Ideas pop in your head–write them down. Go buy some of those pretty notebooks;) Seriously, I think free writing is a huge asset to unlocking your brain. You may be amazed by what comes out of your head when you aren’t really thinking so much. Crazy, but true. The mortar can be hard I agree with you. It’s the small talk, the nuances, all the things that help to define the characters, settings, etc… Just start writing. And remember, no one is reading yet. Only you. It doesn’t need to be perfect, or even good. It just needs to be written. Rewrites and revisions come later. Much later.